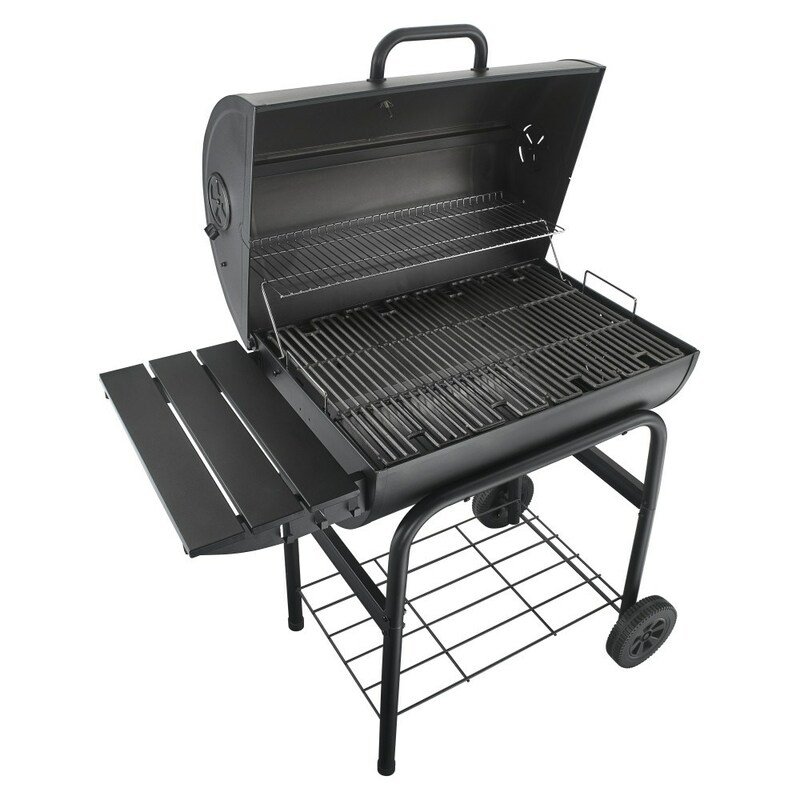 The American Gourmet 30” Charcoal Grill gives you a traditional charcoal grilling experience and is built to last. With 840 square inches of total cooking space on heavy-duty cast iron grates, this grill gives you plenty of room to meet your cooking needs. With a side shelf that provides plenty of space for prep work and a slide out charcoal drawer that allows for easy fuel access and clean-up, the quality materials and sturdy construction of the American Gourmet ensures that your grill is made to last.